Racing industry veteran Mike Anifantis will assume the role of Thoroughbred and Quarter Horse Racing Secretary for the 2019 season at Prairie Meadows. 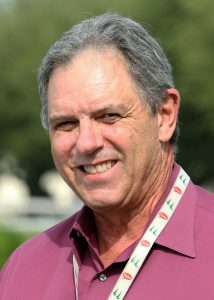 Anifantis brings with him 40 years of racing industry experience to his new position in Iowa. “We are absolutely thrilled to have someone with Mike’s knowledge and experience on our team. He’s been in the industry for a long time and has many Midwest connections, making him a huge asset when it comes to recruiting race horses,” said Derron Heldt, Vice President of Racing at Prairie Meadows. As Thoroughbred and Quarter Horse Racing Secretary at Prairie Meadows, Anifantis will be responsible for establishing the racing program for owners and trainers, writing condition books, recruiting horses for the live race meet, developing stakes schedules, and performing a variety of other duties. The 2019 live racing season at Prairie Meadows runs from May 3 – October 12, with the track’s notable event, The Iowa Festival of Racing, scheduled for Friday July 5 & Saturday July 6. The first Thoroughbred condition book of the season and Thoroughbred stall applications became available on January 31. A graduate of the University of Florida, Anifantis has worked at other racetracks including Hialeah Park, Calder Casino & Race Course, Gulfstream Park, Indiana Grand Racing and Casino, Monmouth Park, Remington Park, SunRay Park, and Tampa Bay Downs.